WE KNOW YOU ARE LIKE US… you love Italy, you dream about Italy, at every possible moment you eat Italian. REAL Italian. We are constantly asking ourselves how can we support Italy. 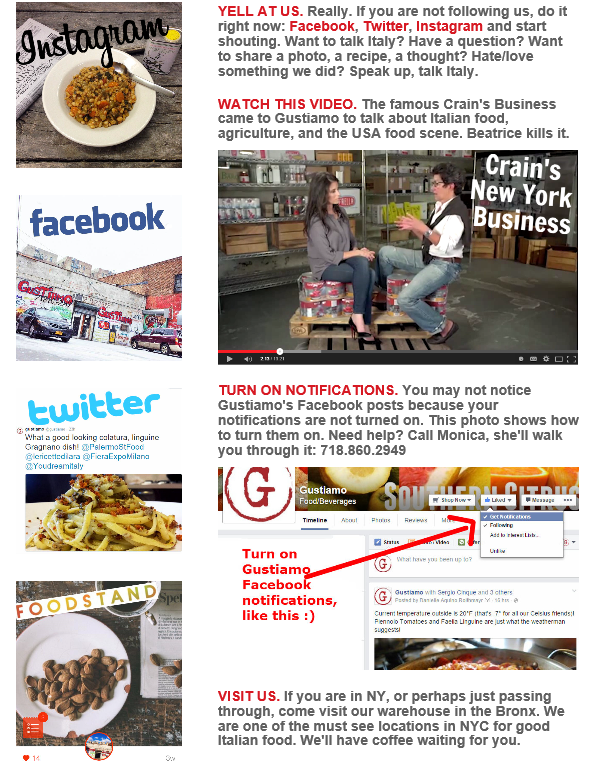 Here are a few quick ways you can be a part of the Gustiamo Italian good food community.